Midway was tantalizing close to turning its fortunes around when a run of bad luck brought it down. Midway's collapse last year was due to bad luck, and not the company's years of losses and significant debts, said former CEO and chairman Matt Booty. In fact, there was light at the end of the tunnel, he said, when the company was hit by a "perfect storm" of problems. 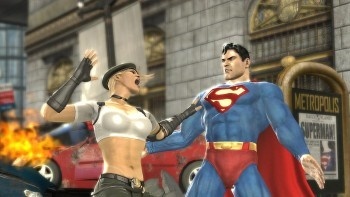 Midway had reported a loss every year since 1999, but Booty said that its final Mortal Kombat game, Mortal Kombat vs. DC Universe, had sold quite well, and that while the company was far from successful, it had at least figured out the right direction. When the economic downturn hit however, everything fell apart. Midway's parent company, National Entertainment was hit hard by the credit crunch, and offloaded Midway to an investor called Mark Thomas, netting National Entertainments owner Sumner Redstone a significant tax rebate. The change of ownership meant that Midway was obliged to try and repay its debts much sooner than it would have had Redstone held on to it, and at that point there was nothing that could be done. When it became clear that Midway was doomed, Booty said that his priorities shifted to trying to keep the development teams together as much as possible, something he was fairly successful at. The Mortal Kombat team was bought by Warner Bros. and became NetherRealm Studios. The Seattle team was also snapped up by Warner, and the San Diego studio was bought by THQ. Booty is now head of Microsoft Game Studios' new mobile gaming division. He said that he had been lucky to have a number of choices when Midway collapsed, but chose Microsoft to get back to "front-line game production."